Lots of things to finalize in the next day or so, but room on the waitlists for Cat 4 and 5 men has opened up quite a bit, so get on it! + Discounted reg for all women racers! + Category 3, 4 and 5 men will each have their own race. Category 3 racers can also jump into the 1/2/3 Race. + New to racing and never had a USAC license? 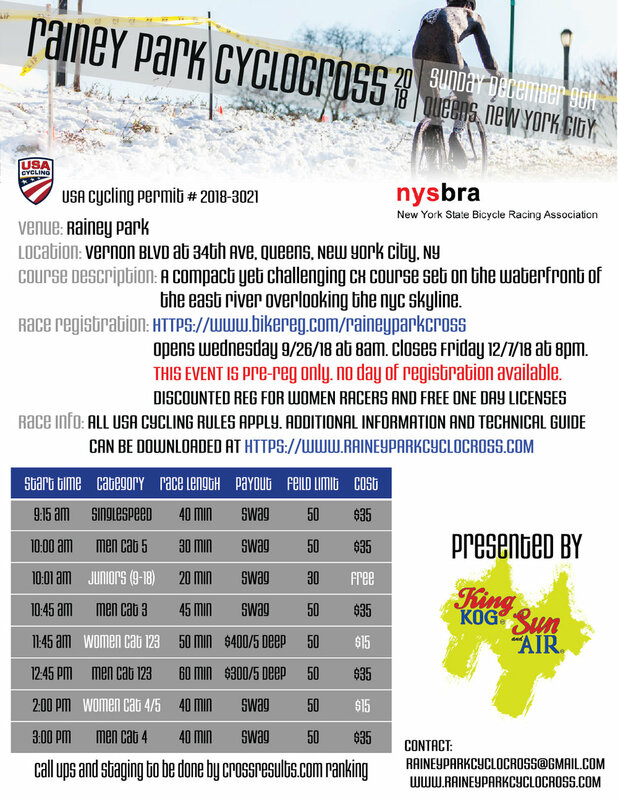 No worries - we'll be covering costs of USAC One-Day licenses for Cat 5 Men and Women once again this year. Super excited that we have a permit 3 months ahead of race date rather than three weeks like we have grown accustomed to. Looking into ways to make this year even better! Stay tuned. Registration will open on Wednesday September 26th at 8am. Thanks for your patience while we get this thing built up.